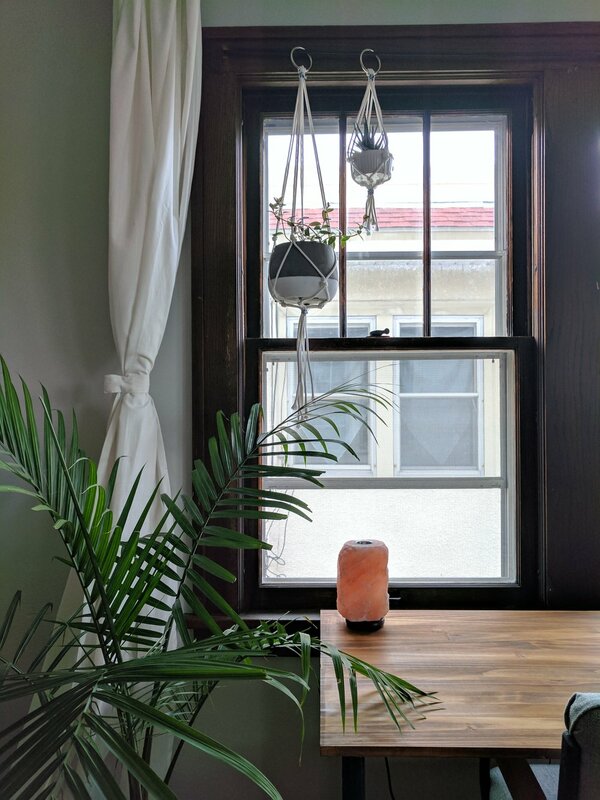 making an apartment a home. I have been renting different apartments/duplex's for a few years now and everytime I move into a new one I am looking for what ways I can make it my own. I browse Pinterest for probably hours and hours just searching. So I wanted to give you some of the "apartment hacks" that I have came up with that I haven't seen scrolling through pinterest. Every rental seems to have it's own set of rules like no painting anything, no nailing/screwing things into walls.. the list goes on. Here are a few of the ways around these rules that I have found. One of the rules that I really don't like is no nailing/screwing things into walls. This rule has been the largest obstacle in our current apartment. Now, I have mostly lived in older buildings and they have plaster walls, so this rule exists for good reason. Command strips are not always the answer.. but they are a big help for wall decor! The situations where command strips don't work... heavy picture frames or even hanging plants(I love plants!). "Make it work," is what the wise Tim Gun always has said and you really do have to be resourceful to get the aesthetic that you are looking for. Heavy picture frames, depending on the weight 3M does make a couple heavy duty nail-style hangings and I did use one of those and it has worked great! However, my advice would be to check the crown molding in your home.. because chances are it may actually be a picture rail. This makes for an easy way to hang heavy things and add a really fun design element as well. For hanging plants, look around your windows(plants love windows) for something to hang it on.. I ended up using an old curtain rod to hang my plants! But a couple other options would be attaching a bracket or a hook to window trim(not wall) to hang your plants. Storage/shelving can also be an issue in an apartment and sadly, command strips cannot do the job here. Kitchen storage is especially tight for us so we decided to do our own version of open shelving with a shelving unit from IKEA right here. We also have the blessing of having radiators.. I love radiators!! To get more shelving we put wood boards (more than 2inches thick) on top of the radiators. This has been a perfect home for plants and just extra decor items.